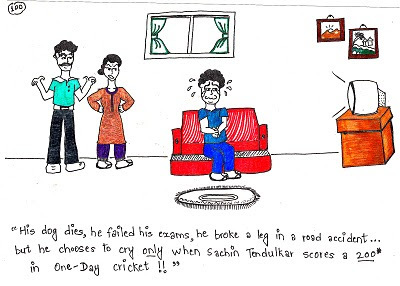 His dogs dies, he fails his exams, he broke a leg in a road accident.... but he chooses to cry only when Sachin Tendulkar scores a 200* in One-Day Cricket!! You are a star !! great stuff. Congratulations.